I couldn’t find the kale at the grocery store. I asked an employee where I could find some and he said, “right here,” and points to his name tag. 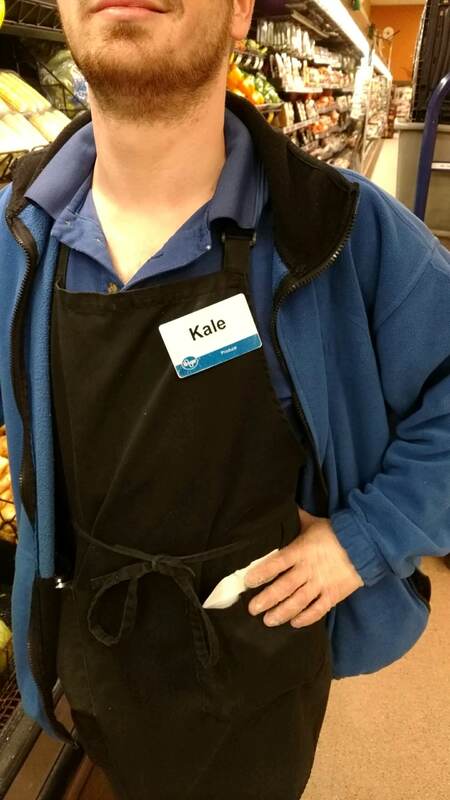 He’s been waiting his whole life for this… kudos to Kale. I love you, man! I hear if you blanch it, it’s better, but that just seems like too much work. It’s a strange superpower to have… Did you have to eat him to get the benefit?